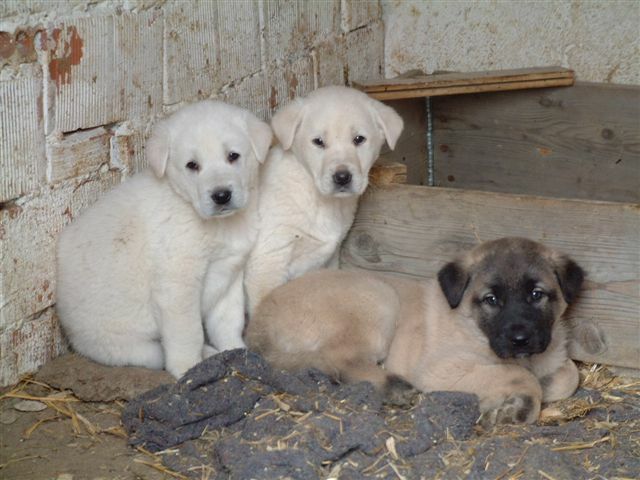 Akbash Shepherd Breeders & Puppies For Sale If your a Akbash Shepherd breeder and have Akbash Shepherd puppies for sale, send us your details for free and we will add to our Akbash Shepherd Breeders page. Akbash Shepherd Rescue Center Visit the Akbash Shepherd rescue centers if your looking to rescue a Akbash Shepherd, as well as learn more about the breed or just support the rescue centers for there hard work. Group A Turkish breed recognised as a Guardian Dog by the UKC. Origin / History The exact origin of the Akbash Shepherd Dog remains to be unknown, although it is construed to be an ancient pure breed. It is also said that the breed was developed by shepherds in Western Turkey 3000 years ago. The name "Akbash" comes from the word "akbas", which is a Turkish term for "white head". 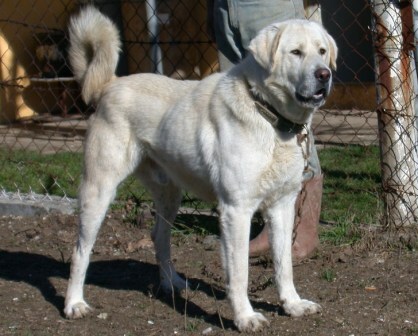 The Akbash is said to be a relative of other white herd guarders found in Europe. These are the Kuvasz, Komondor, Pyrenean Mountain Dog, and Tatra Mountain Sheepdog. However, the Akbash is unlike these other breeds in the sense that only the Akbash has a mixture of sighthound and mastiff qualities. The recognition of the Akbash breed is due to the studies done by Judy and David Nelson, who studied this breed in Turkey and brought back more than 40 Akbash Dogs to America, which started the breed's proliferation in both the United States and Canada. Appearance Akbash Dogs are large dogs with long legs and curved tails. It is similar to sighthounds in the sense that both Akbash Dogs and sighthounds have long legs, arched loins, deep chests, and are speedy and agile. It also possesses qualities similar to the Mastiff because both have broader heads, similar heights and weights, and emanate impressions of power. Male Akbash Dogs are heavier and taller than female Akbash Dogs. These dogs have oblique, almond-shaped eyes. Colours Akbash Dogs are usually white all over their bodies. However, it can also have colorations on the ears, undercoat, and ridge line. Temperament Akbash Dogs do not trust unfamiliar humans immediately. When the owners have friends over, they must make sure that the dog is not left alone with the guests without a familiar human being in the venue. When trained properly, though, Akbash Dogs can be great companion dogs, although training may take quite a while. Since Akbash Dogs are guard dogs, they can be very loyal to their owners and won't think twice about defending them in times of danger. Akbash Dogs are independent, courageous, calm, affectionate, quiet, and intelligent. Height and Weight A large breed which grows between 71 - 86 cm in height and weights between 40 - 64Kg. Common Health Problems Akbash Dogs are fairly healthy, but like other breeds, there have been cases wherein Akbash Dogs have been afflicted with osteochondritis dissecans and hip dysplasia. 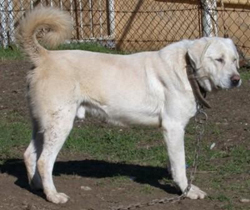 Living Conditions Akbash Dogs will be best reared in a rural or semi-rural place. Although Akbash Dogs are clean and quiet when inside the house, they are better suited for living outdoors rather than indoors. Open spaces are recommended, and the area must be fenced with at least a 5-feet-tall structure. Exercise Requirements Even though Akbash Dogs are dogs with only a low activity level, it still needs to get exercise. Thus, owners must make sure that they take their Akbash Dogs out for a long walk daily. These dogs also need to run around in open spaces. Training Requirements Due to the fact that Akbash Dogs are strongly independent in nature, people should think twice about getting Akbash Dogs as companions. This is because owners of Akbash Dogs must be willing to spend some amount of money to prepare a good fence. Aside from that, training Akbash Dogs require the owner to spend much time with the dogs and help them learn how to socialize. It might take a while before the Akbash Dog follows commands because it is a breed that trusts itself first rather than its owners. Life Expectancy Akbash Dogs are expected to live for as long as 10 to 11 years. Grooming Akbash Dogs shed more than other dogs. Their coats are hard and does not smell. These dogs are usually clean and do not need extensive grooming like other breeds do. However, the coats of Akbash Dogs do need to be brushed regularly. 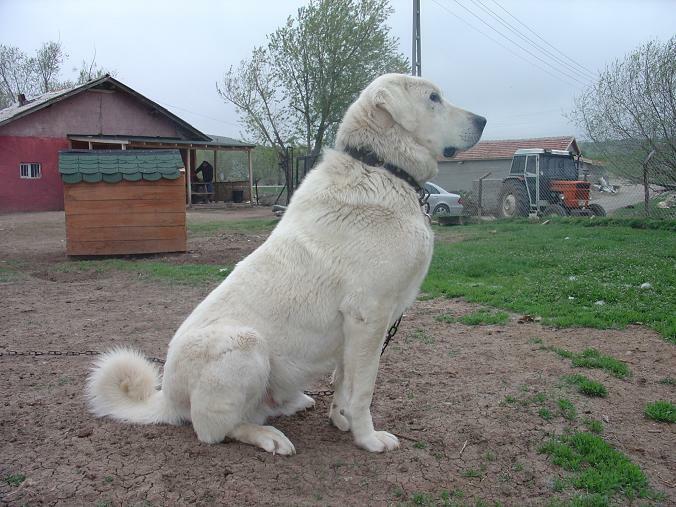 CompleteDogsGuide Comment A very large Turkish breed best suited to active owners who live in the countryside. More Akbash Shepherd Information: Check out our Akbash Shepherd Clubs and links to more informative websites dedicated to the breed. 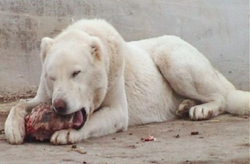 Polar Bear or Akbash Dog? ?